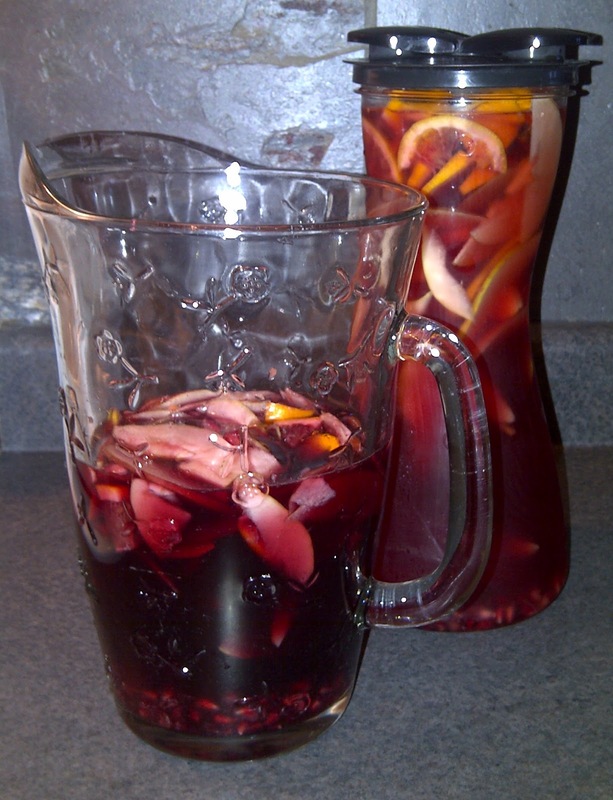 It's 9:00 A.M. and I'm making Sangria. Totally normal, right? I stumbled upon this on Pinterest late one night (the best time to surf). I had to open a bottle of wine anyway for French Onion Soup............why not Sangria-ize the rest? .....and Blood Red hands from seeding the pomegranate. 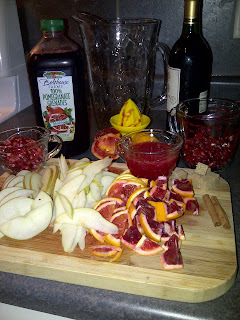 ....add the pomegranate and orange juice and wine (or tea). Not following directions can lead to happy accidents (sometimes). I only had half a bottle of wine, but prepped a full recipe's worth of fruit. 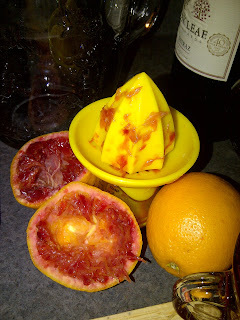 I decided to make a Tea Sangria with the remaining fruit, substituting unsweetened ice tea for wine. Wash and thinly slice the pear, apple and 2 oranges, seed the pomegranate. 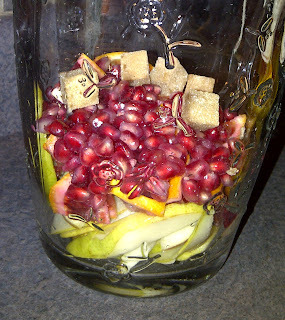 Layer all the fruit in a large pitcher, add sugar and cinnamon stick, stir to coat the fruit. 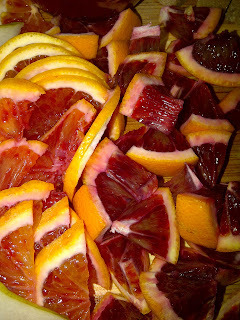 Juice remaining oranges. 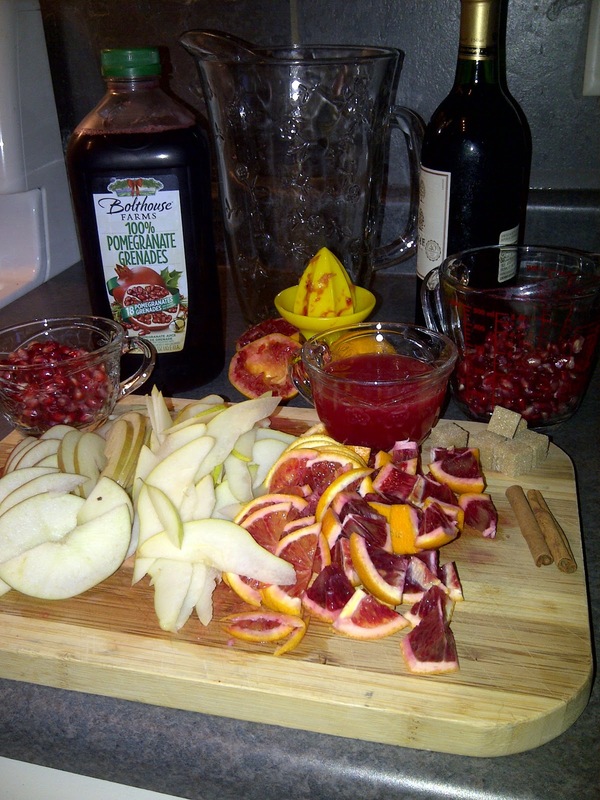 Add the orange and pomegranate juices, give a quick stir, then add the wine (or tea) and stir again. Cover and let refrigerate overnight, or at least 6 hours. Serve over ice, top with ginger ale or club soda if desired. Depending on your tea preference, you might want to add a few tsp of maple syrup to each glass if it is not sweet enough for your liking. 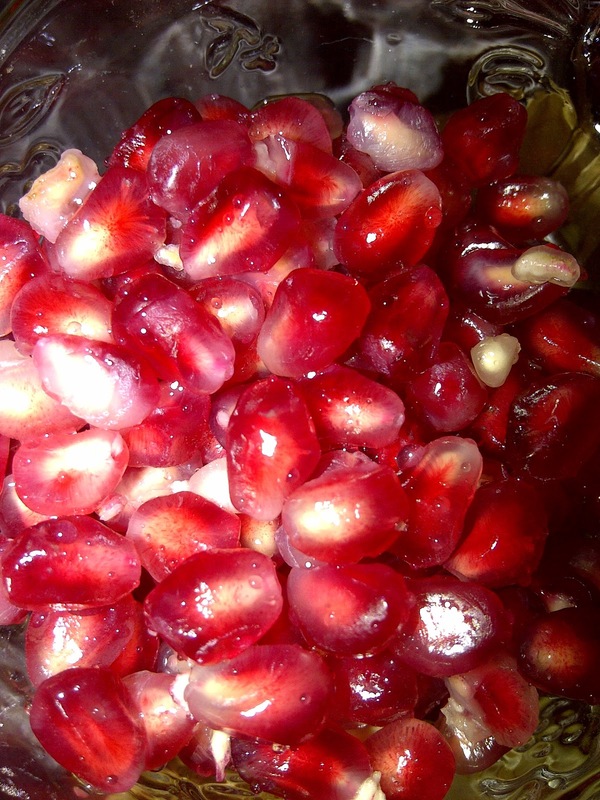 Remove the fruit from the tea after 24 hours if you haven't consumed it yet. The Sangria Tea will only keep for a few days before the fruit extracts start to ferment and get that fuzzy taste.